Bills, Bills, and More Bills! In case you thought there were not enough folks supervising the K-12 education system, along comes SB 424. This bill would establish the position of “Education Inspector General” in the State Treasurer’s Office. 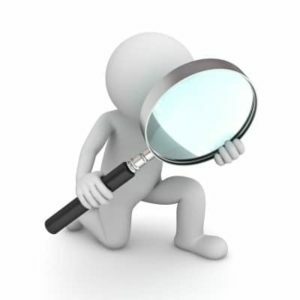 The intent is to have someone conduct continuous audits of education spending. The proponents – Senator Mary Pilcher-Cook, Senator Ty Masterson, the owner of Freedom Bank in Johnson County, and KPI’s Dave Trabert. Masterson was quick to say that this had nothing to do with the kerfuffle over transportation funding that included a letter from Sen. Wagle and Rep. Ryckman to the State Board calling for Dale Dennis to be suspended and an investigation launched. Of course, the bill was introduced after the SBOE stood up for Dennis and the practice used for distributing transportation dollars. And all this was put aside in Mr. Knudtson’s testimony in which he attacked both the Department and Dennis. Trabert also continued his attacks on the department and calls for millions of dollars to be pulled back from school districts. Opposing the bill were KASB and State Board Member Jim McNiece. After the hearing was closed on SB 424, Chair Baumgardner turned her attention to HB 2541, a bill that adjusts tuition support for members of the Kansas National Guard. This bill passed the House on a 120-0 vote. After the hearing, the bill was moved out of committee on a motion of Senator Hensley and placed on the Senate’s consent calendar where non-controversial bills are sent. After three days on the consent calendar, the bill will be passed, skipping the debate process. Their next action was on HB 2542, another non-controversial bill requested by the Board of Regents that adjusts the fees that KBOR charges to private higher education institutions to cover the costs of regulation. The bill was passed out of committee and will go to the full Senate. Other Senators had items they wanted to think about on this bill and Baumgardner said they would take it up next week, perhaps mid-week. The Senate took a final action vote today on SB 340, a bill dubbed the “Campus Free Speech Act.” This bill would ban free speech zones on campuses and make all open areas available to anyone for rallies, literature distribution, and demonstrations. It is widely seen as a reaction to colleges that are trying to keep students safe in light of actions taking place congruent with some recent activities around the country. The bill would allow any student to invite a speaker and the college would be required to allow the speaker. We see this as an opening for extremists on both sides to come to campus and perhaps incite potentially violent acts. One student could invite Richard Spencer, another could invite Louis Farrakhan and the university would not be able to restrict such events. Many other issues were raised in the debate on the bill and today it was voted down on a 20-20 vote. KNEA opposed the bill. The House Tax Committee held a hearing today on HB 2231, a bill raising taxes on cigarettes and tobacco products. The Cigarette tax would increase by $1.50 per pack. 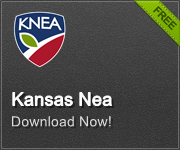 KNEA testified in favor of the bill. Passage would increase revenue to the state by about $90 million per year but more importantly, the higher cost of cigarettes and tobacco products would discourage youth smoking and tobacco use. Evidence shows that increases in cost also incent smoker to quit. As parents and caregivers make that decision, the health and well-being of their children improves. Reduced smoking and tobacco usage also reduce overall health costs which impact the cost of health insurance for all Kansans. Legislative Task Force on Dyslexia: Penultimate Meeting?